Plastic is everywhere, we are surrounded by it. Have you thought about the many plastics found in your kitchen? At Zoetica, one of our main goals is to help you take steps towards reducing single-use plastic waste in all aspects of your life, which includes your home. Kitchens are an essential part of our daily lives, and the decisions we make there affect the world more than we realize. Although having plastic in our kitchens is almost inevitable, there are ways to reduce our dependence on the single-use plastics because they are less and less likely to be recycled. Their presence is impacting our oceans, landfills, and frankly, our future. You can make a difference, and even your small changes can make a big impact. It is important to note the difference between single use plastic and durable plastics. Single-use plastics are typically used one time and then discarded. Ziploc baggies, plastic wrap, containers and trash bags are all examples of single use plastics. Durable plastics are used more than once and typically not thrown away after one use, like reusable containers and kitchen utensils. At Zoetica, we believe that durable plastics in your kitchen are more sustainable because you can keep using them hundreds, hopefully thousands, of times as long as they are BPA and Phthalate free. Ideally they will be recycled at the end of their long lifespan. Silicone Stretch Tops for food storage. Saran Plastic Wrap was developed in 1949, and has been heavily consumed every year around the world. In 2018, 79.31 million United States consumers used a whole roll/box of plastic wrap in the last 6 months, and 119.69 million consumers used more than one roll/box. A simple replacement for cling wrap can be found at Zoetica. Stretch Tops, made from platinum silicone, are reliable and come in various sizes . The versatile material can withstand a wide range of temperatures (up to 428F!). The stretch tops allow you to cover bowls, fruits, and even lemons! The best part is that silicone is entirely non-toxic and recyclable. Zoetica’s selection of totes, produce/bulk food bags, and reusable ziplock-style bags are simple replacements that will last multiple uses in your kitchen while reducing plastic waste. If you have an abundance of plastic bags already, there are ways to reuse them. Using plastic bags to line trash cans, pack lunches, and even to pick up after pets are simple and easy ways to reuse those plastic bags! You can also drop them (and all your plastic film) off at many Target and large supermarket locations to be turned into Trex decking material through an innovative recycling collaboration. Summer is just around the corner! Did you know that popsicles were originally invented by an 11 year old boy? Billions of popsicles are sold each year, and are packaged in single-use plastic sleeves and wrappers. This summer, make the switch to Zoetica’s stainless steel popsicle molds. The best part about these molds is that you get to create your own unique popsicles for everyone to enjoy, with no plastic and toxicity involved! We throw out 2.5 million plastic bottles per hour in the United States. The Hydaway collapsable water bottle, Z Canteen, Z Cup, and the Cortado Cup are all options to replace plastic water bottles and disposable coffee cups. Made with stainless steel, easily refillable, and effortlessly sustainable, Zoetica’s reusable cups are a simple, modern-style replacement for plastic water bottles. From plastic water bottles to ziplock baggies, our dependence on plastic has heightened, impacting our planet more and more everyday. You can observe what plastics are found in your kitchen, but making a change to sustainable products can be overwhelming. The initial investment to become more sustainable is worth it in the end. Remember to take simple steps, set goals, and keep up the positive impact you are making in our world. Zoetica’s sustainable kitchen box is a great place to start reducing single-use plastic in your kitchen. 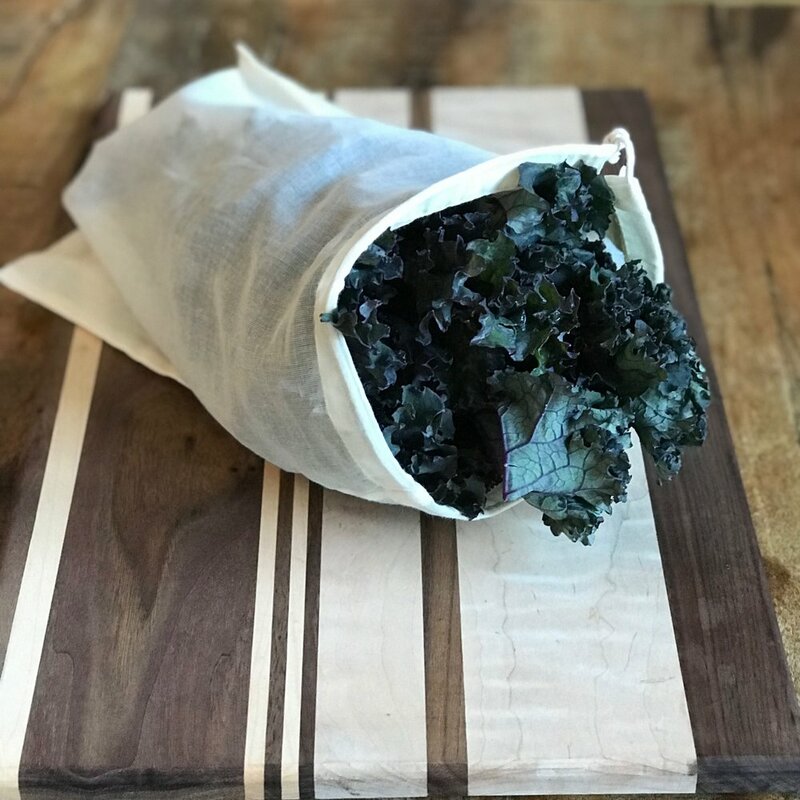 Included in a compostable, 100% recycled box you will receive 3 sizes of stretch tops, 1 produce bag, 1 medium market Tote, 1 mini market tote, 3 reusable ziplock-style bags, and 5 organic napkins/paper towels. a simple checklist to make changes today! Please subscribe to our blog, for more ways to be part of the zero-waste movement! Join our network by following us on social media and subscribing to our newsletter for constant news, info, tips, tricks, and hacks for life on the go. D'Alessandro, Nicole. “22 Facts About Plastic Pollution (And 10 Things We Can Do About It).” EcoWatch, EcoWatch, 7 Apr. 2014, www.ecowatch.com/22-facts-about-plastic-pollution-and-10-things-we-can-do-about-it-1881885971.html.